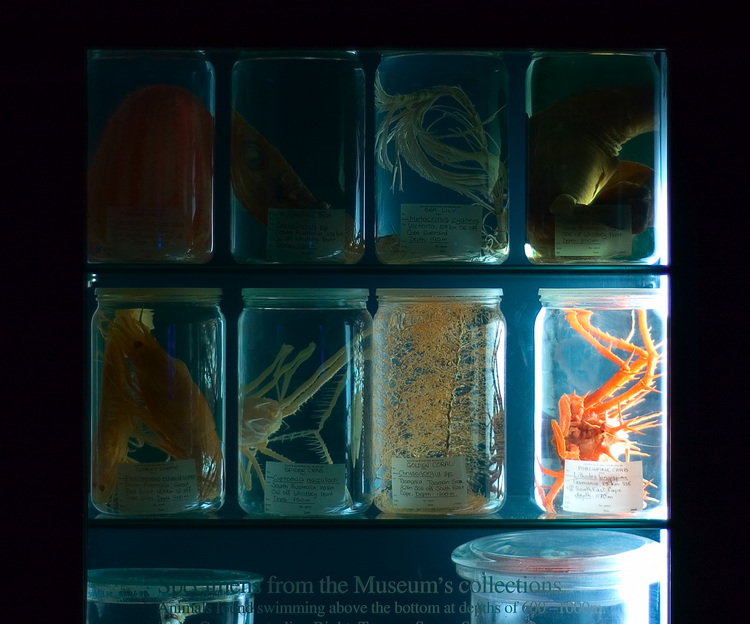 Specimens from the deep sea, on display at the South Australian Museum. The creature at the bottom-right is a Porcupine Crab. Details: Nikon 50mm 1:1.8D, f/1.8, 1/25s, ISO 200.